What golfer wouldn't want a gift like one of these this holiday season? Hint... most golfers. Published: Sunday, December 10, 2017 | 8:21 a.m.
'Tis the season of giving. Which means -- if we've been good boys and girls -- we'll also be receiving gifts. Maybe you've had your heart set on a shiny new driver that guarantees 15 more yards. Maybe it was the new wedges with the grooves that'll make your ball stop on a dime. Was it a new bag? Were you really, extra good this year and hoping for a new set of irons? Well, beggars can't be choosers when it comes to receiving, right? If you know someone whose heart is in the right place when shopping for you this holiday season and looking to surprise you with golf gear, maybe subtly slip them this list so that Santa doesn't make an unintended triple bogey with the gift under your tree on Christmas morning. 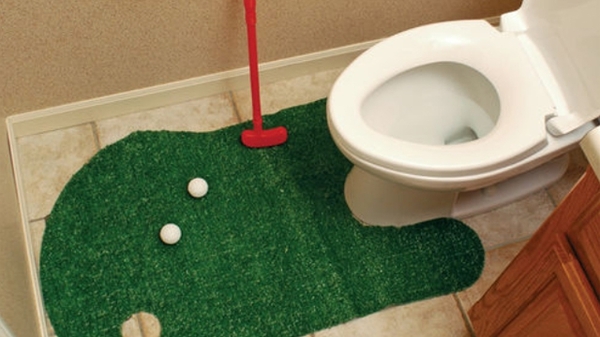 Here's a list of 7 odd golf gifts we came across on a quick, fun internet search. 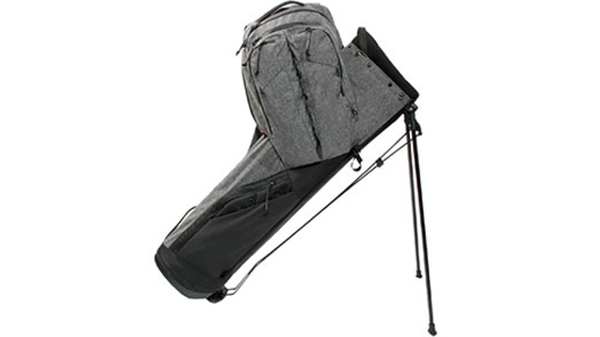 Backpack Golf Bag. For just $229.99, this lovely bag could be yours. It screams, "Yeah, I have all my books for classes this semester, but in case we need to sneak in an emergency nine, I'm prepared for that too." According to the site selling it, there are only seven left. 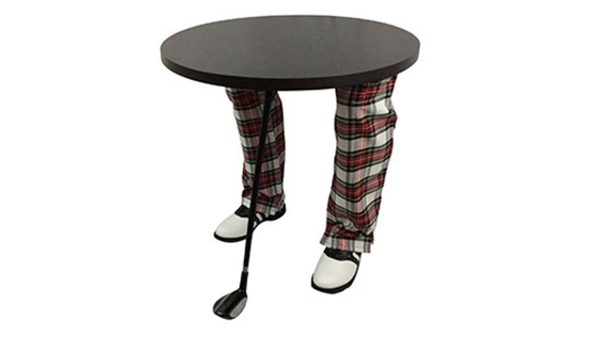 Scotland Yard Golf Table. At $499.99, you might be thinking, "That's really cool, but it would be a lot cooler if there was some grass to put under the feet. Then it'd be more realistic." Lucky you. For an additional $39.99, you can also buy the turf that goes with this side table. Driver Drink Dispenser. This seems to be way more trouble than it's worth, but who am I to judge? For just $49.99, this puppy will hold up to 48 oz. 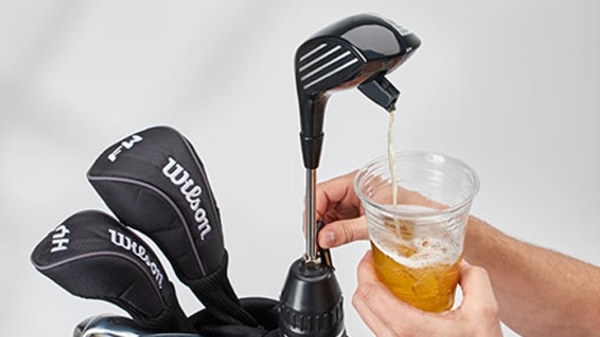 of your favorite adult beverage and you can keep it in your bag where it won't look anything like the other clubs hanging out in there. It's description says, "Great for ice water, iced tea, coffee or hot chocolate." Come on... seriously? 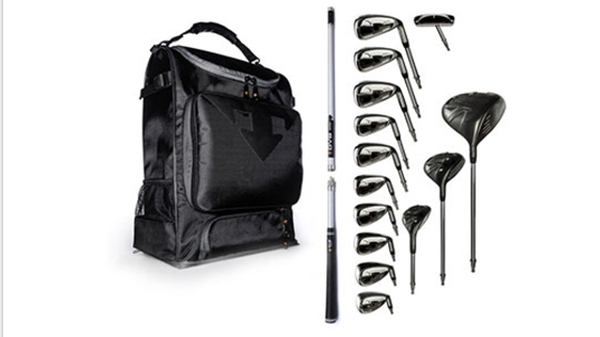 Packable Golf Clubs - Full Set. How about this for a price tag? $1,199.99. Read that again. Ladies and gentleman, for that kind of money, not only can you buy your loved one a great set of irons, but you can also cover the cost of a proper club-fitting for said set of irons. Of course, you wouldn't get the fun bag that comes with this item, however, which also stores a tablet. Golf Ball Finding Glasses. 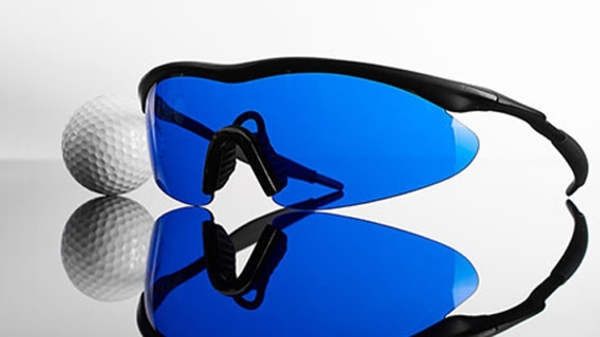 No offense to the makers of this $59.99 accessory, but I've got news for you -- with or without these glasses, you're not finding that drive you just sliced 100 yards into the woods. If you're convinced otherwise, the "tinted blue lens filters out foliage and grass, making white balls stand out against any dark background. You'll save time, minimize penalty shots and cut ball losses. And, you’ll be the hero of the day when you spot your buddies’ errant golf balls!" You hero, you. Bathroom Golf Game. The description for this $16.99 "practice tool" touts the product as "more fun than reading." OK. I'll give them that. But, trust me, you can take care of what needs taking care of and get back to practice putting with the real tools when you're done. Pain Relief Golf Gloves. At $49.99... I don't know. 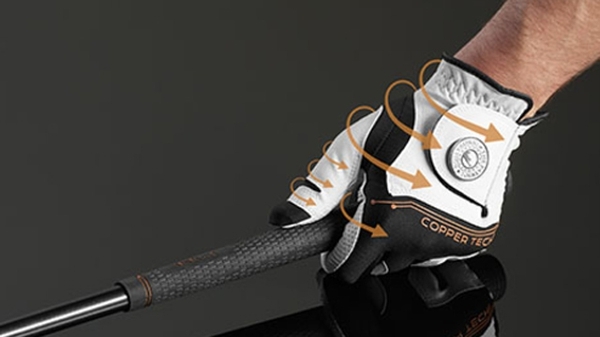 That seems like a bit much for a golf glove -- especially one you're supposed to use if you're in pain. I mean, come on, if you're in pain, maybe take a break from playing for a day. Or, just go to the practice green and work on your putting.